I recently found myself on the lecture stage at the AAO meeting doing a presentation on a very interesting case study and realized that things have really changed so much in marketing cataract surgery. When I first started clients would always say that marketing was great for LASIK but this probably will not work for my cataract surgery patients. I always saw the data stating that many older people did use the internet and some research from Pew Internet & Marketing going back to 2011 had some solid evidence that a very large percentage of baby boomers were using the Internet for healthcare research. Despite all of this we just did not see the website traffic coming from the older demographic. This past case study has completely changed my mind. The practices that are first to market with this concept will win big. In fact, some ophthalmologists are already doing it. The play is not as obvious as a basic digital marketing approach. You must think digital first and optimize your opportunities with social media. I started out the presentation basically telling the audience that Internet marketing and cataract surgery has not always been a good fit. For years, clients have been asking me about the value of Internet marketing for the cataract demographic. We have been experimenting with this for years, doing a lot of SEO and paid search around these terms with somewhat mixed results depending on the location. Due to the excellent tracking capabilities in the Google Adwords system we have really been able to refine our approach and look at the actual ROI. So I was asked to work with a very progressive eye surgeon and a great marketing talent to create a case study we could present at this year’s cataract surgery users group meeting. Because new digital branding modalities were becoming a great way to reach people at a very low cost this project sounded great. I wanted to design something that the audience probably had not tested and I wanted to be able to show the engagement. Additionally, I really wanted to be able to show the overall lead to surgery conversions against the actual cost to do the project. I was very excited about this project from the start but I was also concerned that the success would be very minimal. The last thing I wanted to do was scare clients away from trying to get better at cataract patient marketing. We knew we needed to socialize to optimize this opportunity. The cataract demographic is the fastest growing demo online, including Facebook. This demographic is digital savvy – using smartphones, Facetime and other technology, often to engage with their children and grandchildren. 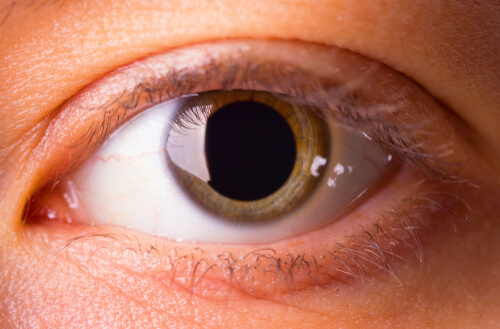 No one else is doing this – marketing to the cataract patient digitally. If you see those ads, it’s newspaper, magazines, TV. Which are fine if they work for you, but can be cost- prohibitive for a lot of practices. We used a series of targeting so that we could keep our budget in check. Digital channels allow for detailed targeting! How did this all turn out? The cataract demographic is online. Not only are they on the web, they are on Facebook. The marketing dollar stretches further online than elsewhere. How far would $6,100 go in other media? We touched over 200,000 people multiple times in 2 months! Overall the case study was a success. First, we had a positive ROI, second we generated a huge amount of brand awareness for very little money and third, we were able to track surgeries to this campaign and these people will tell other people about the wonderful experience they had. In regards to media source, each source played a role and maybe we would do things differently in the future but for now I like the way this played out. Facebook was our cheapest Lead Generator – $15/lead. Also the lowest converting, so… Need a long follow-up process to convert people who don’t book up front – email and phone. Stories resonate more than anything else (ex. Dr. Parkhurst and his Dad), use stories in your marketing, your sales process & in everything you promote.